FM #2 Mask Mystery Solved!!! 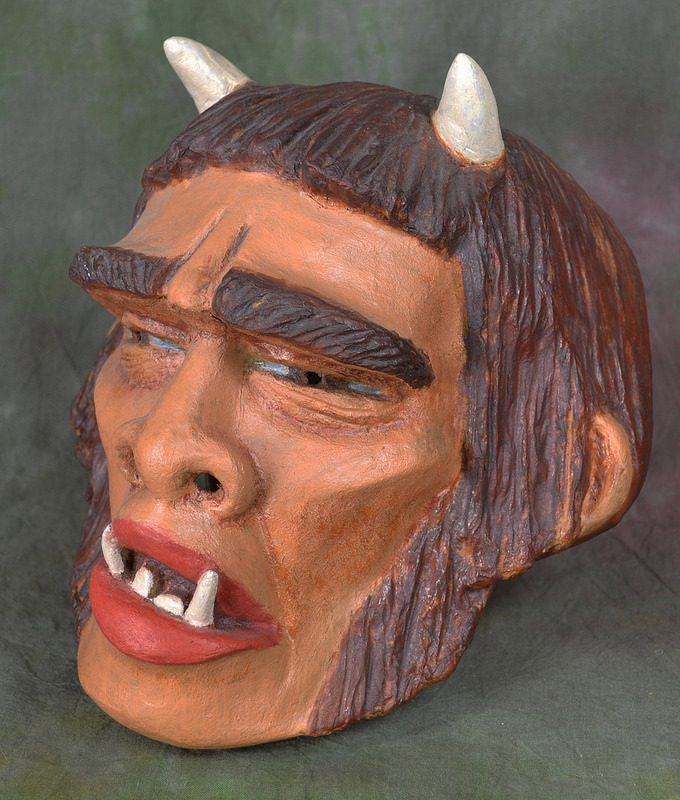 This mask, which adorned the cover of FM2, has puzzled mask collectors, monster fans, and Famous Monsters aficionados for years, but nothing about its origin has ever come to light until now. 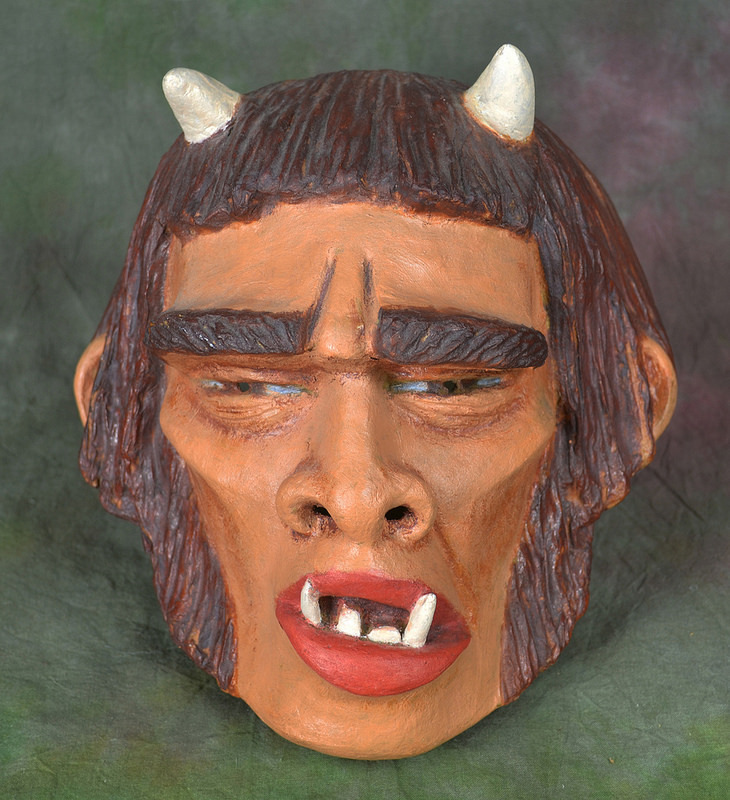 This mask was not made of latex, but rather papier-mâché, which was a popular medium for masks into the 1960’s. 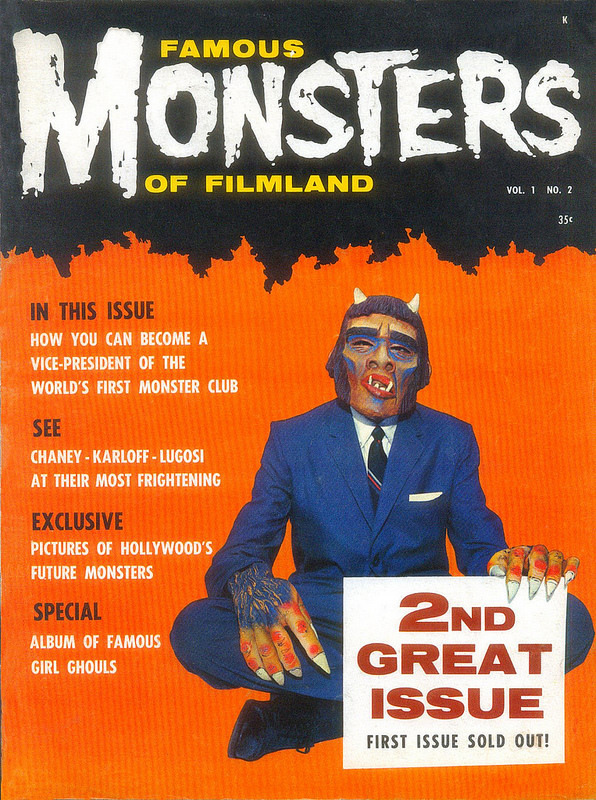 But what was this mask, and how did it end up on the cover of FM2? Famous Monsters began in Philadelphia, before moving to New York in the 1960’s. Jim Warren was asked what he remembered of the mask in 2005, and said he bought the mask at a corner store. The photo was taken in his apartment, and he didn’t remember anything else about it. 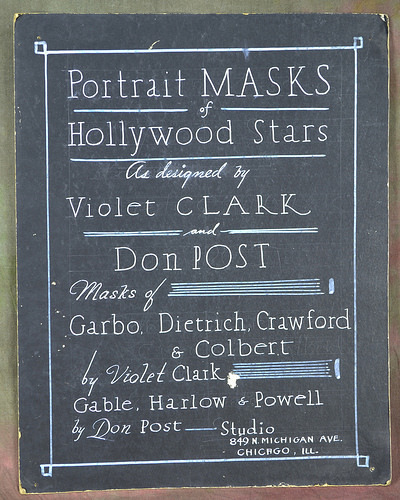 The mask is titled and signed on the back. 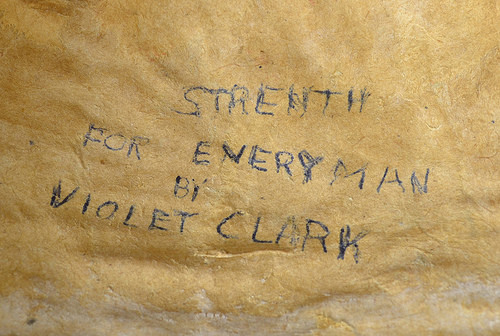 It’s called “Strength for Everyman”. This is a puzzling name, but a play from the 15th century called “The Summoning of Everyman”, and usually called just “Everyman” has a character called “Strength”. The play had several runs on Broadway from 1903 through 1918, and several film versions, released in 1961, 2002, and 2007. 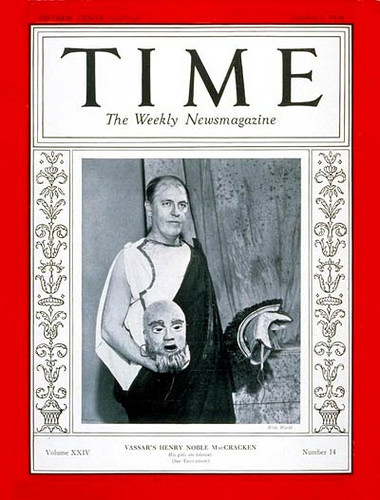 But to Warren, it was a monster mask, and he bought it to use for the cover of his magazine. Kirk Hammett’s book, “Too Much Horror Business” includes a photo (page 9) made from a negative from that session in Warren’s apartment that shows some different shading than appears on the magazine cover. The suit is charcoal, and the shading on the mask is not bright blue as it appears on the mag cover. The brighter blue was probably done by the stripper (not that kind of stripper!) in the pre-printing process. 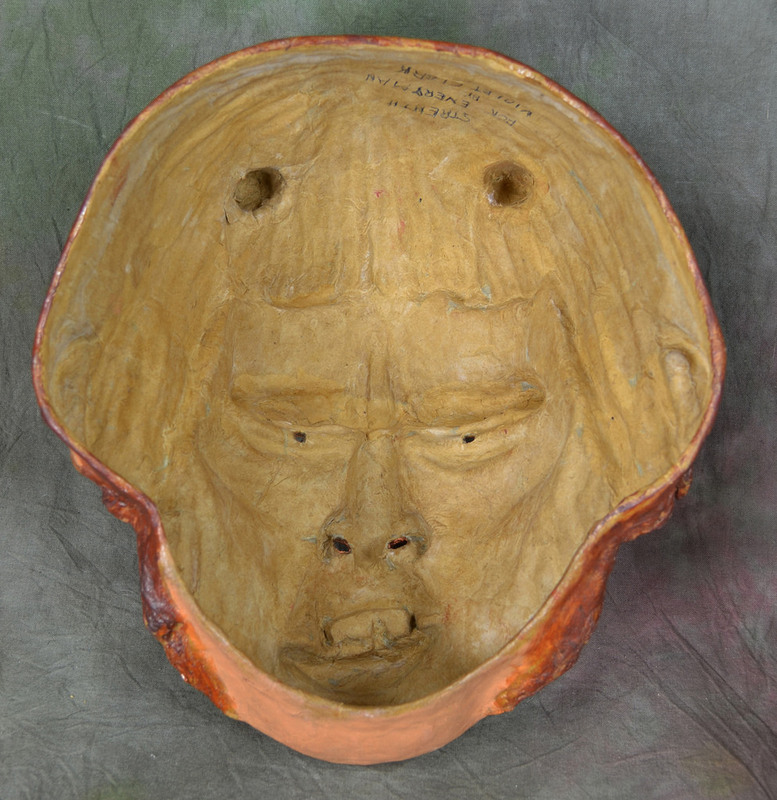 Whether the mask Warren used was sold new or was bought secondhand (possibly the one used for the play production for which it was made) is uncertain. 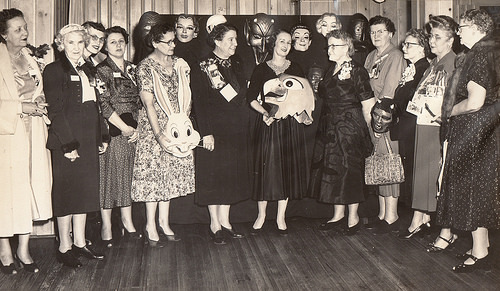 The mask appears in an old photo of Ms Clark-Eddy, surrounded by women holding some of the masks she made. Movie stars, ethnicities, animals, and a big devil. 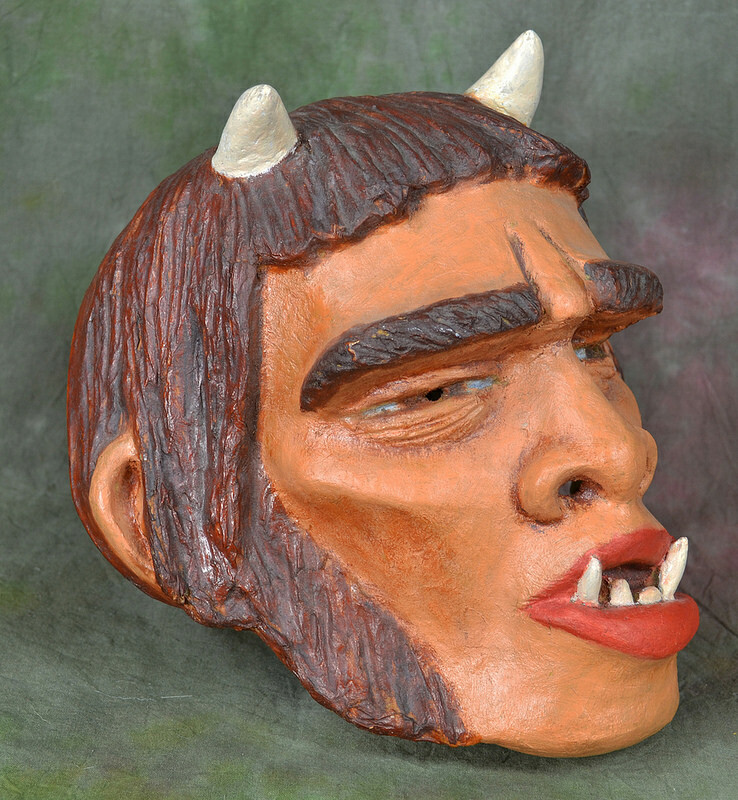 And that’s how a papier-mâché mask by the Woman of 1000 Faces, made for a theatrical production of a 15th century morality play, became an iconic image for monster kids and fans. The mystery of the FM2 Werewolf has been solved! This mask was found by Vxx’s son, he recognized it as a mask that looked like one his Dad had made. 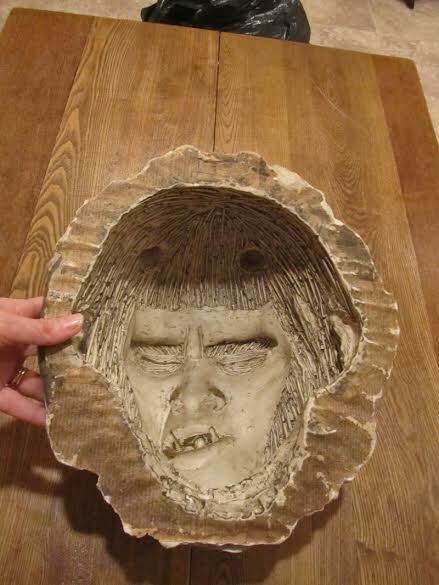 Vxx was then able to purchase it along with the original plaster mold. The mask now lives at the Toy Ranch.